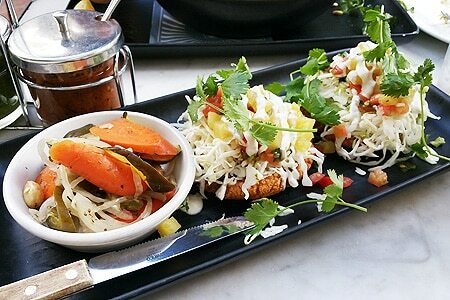 There's practically no city better suited for vegan eating than Los Angeles. From the Santa Monica coast to the heart of the Valley, plant-based menus are cropping up everywhere and there's no signs of slowing. To help you better understand plant-based menus, be sure to check our guide to vegan food terms. But rather than giving you a rundown of places loaded with mock meat fake-outs, GAYOT's list of the Top Vegan Restaurants in Los Angeles features destinations that focus on real food and vegetables to create meals fit for full-fledged vegans, adventurous omnivores and curious carnivores alike. Here's our list presented in alphabetical order.